I wish I liked this design more than I actually do. I'm not sure if it's the fact that I didn't have much time to work on this or not that's affecting my judgement on it. As I always say though, we are our own worst critics. For the accent nail, I used a liquid sand polish by OPI called Emotions and paired it with a stud. I wish I could remember where I got the stud from but I'm pretty sure it was a sample with a polish purchase. The blue color, as you can see in the other photo, is from Rica and it's called Robin's Egg Blue. The lines were free-styled with acrylic paint for more control. I sealed this off initially with a matte topcoat, but as my friend Cheyenne suggested it looks much better with a glossy finish. Let me know what do you think. Love you guys and I'll catch you tomorrow. 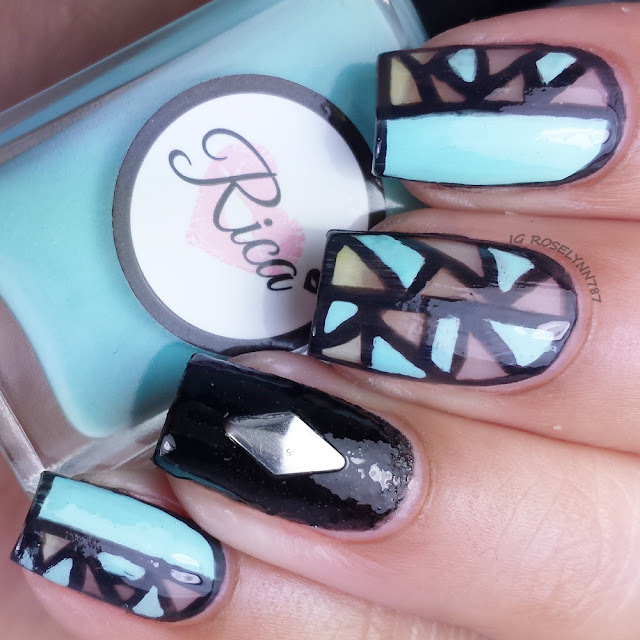 I really like this type of mani! So chic! this is amazing nail art ! 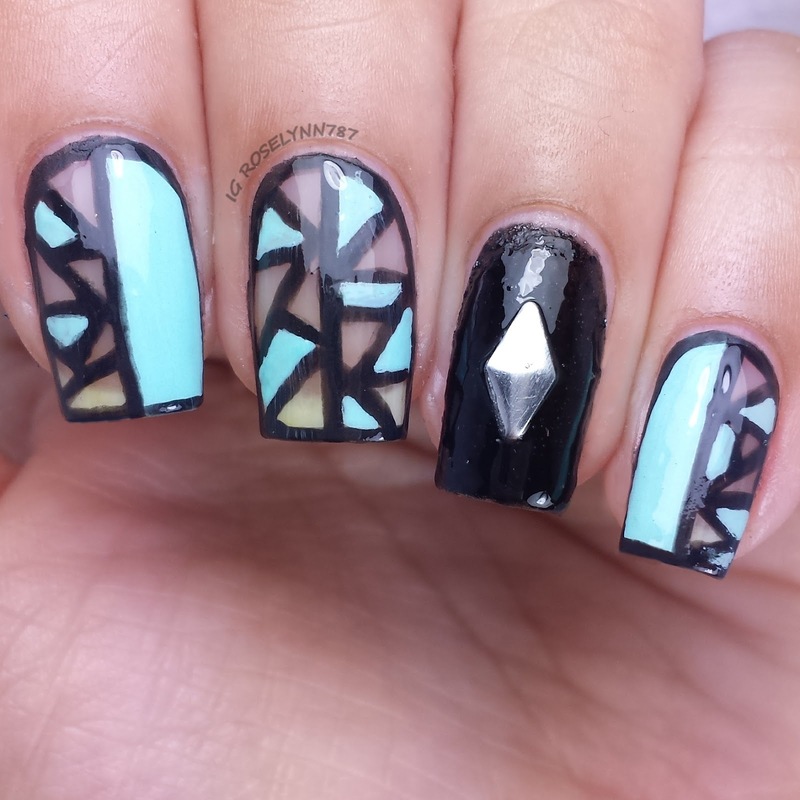 i like it so much and get idea how to make my next design on my nails ! love it really !